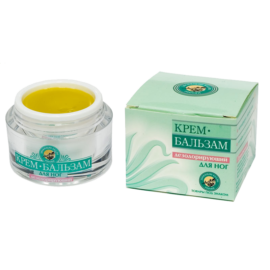 Cedar Cream Balm Nighttime Facial, 30 ml. Natural nighttime cream is based on oils and beeswax for active recovery of skin cells. It is designed for comprehensive care of all types skin. The rich composition of vitamins nourishes, relaxes and regenerates skin at night, when it is most sensitive to the action of the active elements. It makes skin more elastic and supple, also softens fine lines and wrinkles. Cedar resin and beeswax has strong antiseptic properties that relieve irritation and heal wounds and acne. The oil restores metabolism, impaired by the influence of environment, so the cream especially recommended for residents of big cities. Side effects have not been found. Natural nighttime cream based on oils and beeswax for active recovery of skin cells.